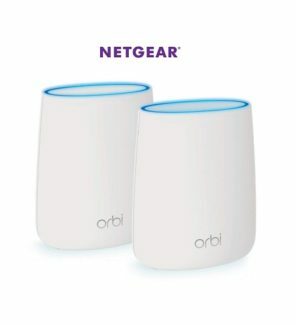 New Delhi: August 06, 2018/Team Estrade//– NETGEAR Inc., a leading provider of home networking that power today’s smart home has introduced NETGEAR Orbi RBK20 Wi-Fi Router and Satellite that delivers unparalleled Wi-Fi coverage. It covers homes up to 4,000 square feet with strong WiFi signals and the Innovative Tri-band Wi-Fi helps maximize the Internet speeds available in your home. NETGEAR Orbi RBK20 Wi-Fi Router and Satellite that delivers unparalleled Wi-Fi coverage. NETGEAR (NASDAQ: NTGR) is a global networking company that delivers innovative products to consumers, businesses and service providers. The Company’s products are built on a variety of proven technologies such as wireless (WiFi and LTE), Ethernet and powerline, with a focus on reliability and ease-of-use. The product line consists of wired and wireless devices that enable networking, broadband access and network connectivity. These products are available in multiple configurations to address the needs of the end-users in each geographic region in which the Company’s products are sold. NETGEAR products are sold in approximately 30,000 retail locations around the globe, and through approximately 25,000 value-added resellers, as well as multiple major cable, mobile and wireline service providers around the world. The company’s headquarters are in San Jose, Calif., with additional offices in approximately 25 countries. Connect with NETGEAR on Twitter, Facebook and our blog.